The moderate European climate makes many animals feel good, especially those accustomed to live here for hundreds of years. They enchant with their appearance and arouse different emotions. Europe has a lot to be proud of. All these natural treasures and impressive animals are worthy to be shown like a wealth to the world. 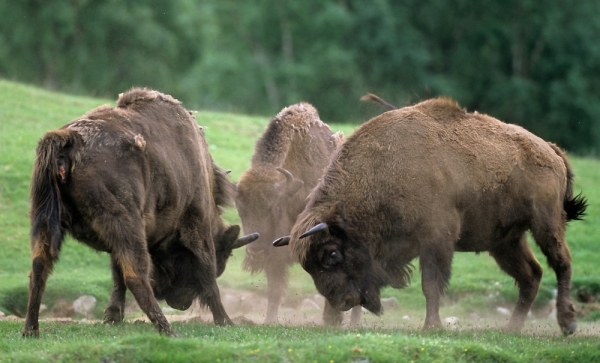 If the road once brings you to Belarus, you may have the pleasure to see in live the European bison. This extremely powerful animal is also known under the name of Wisent. In addition to the American bison, this is the only animal of this kind that survived the harsh battle with its oppressors. Although he belongs to endangered species, his appearance is really impressive, and you will have the impression of being in front of a piece of beautifully sculpted rock standing upright despite all the bad winds. 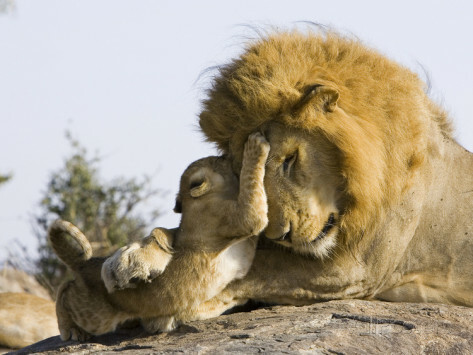 Although lions seem scary at times, they seem twice as sweet when you look at them playing with their cubs. Believe it or not, lions roar so loud that one can hear them even at a distance of 5 miles. Lionesses are very skillful hunters, while males are recognizable by their darker manes. This big cat is a symbol of nobility and royal status, so it's a favorite of many. Lion is also the national animal of Belgium. 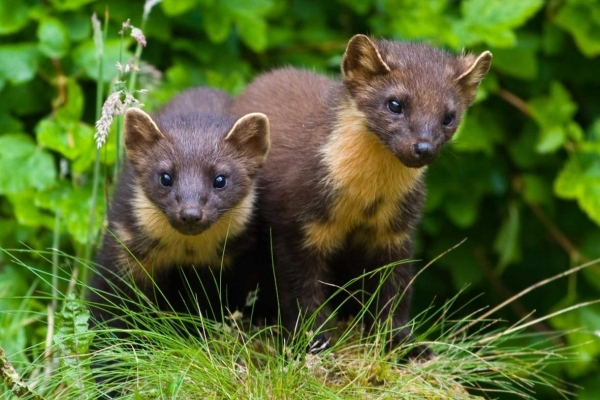 The pine marten is a Croatian national animal with a beautiful fur, which is very appreciated and expensive. This tiny and sweet animal represents the natural animal wealth of the Croatian people. Croatian translation of Pine Marten is "Kuna" and that is also the name of their currency. These animals are not shy and are real predators. They are very fast and easy climb on trees, thieving the eggs of birds. Besides that, they eat other small animals, but fruits and nuts as well. 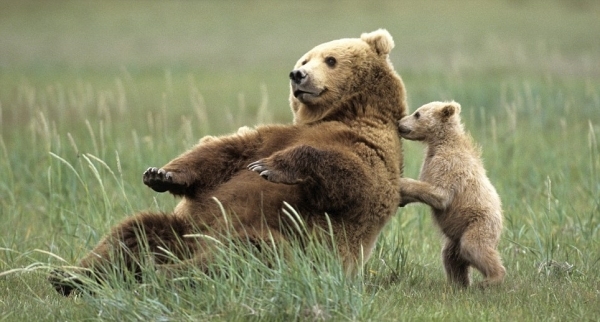 Finland is proud of its national animal, but how could it not be when we speak about the passionate and big brown bear. These animals can reach a weight of almost 660 pounds, and they can be deadly for a man if they find one along the way, especially if they get angry. On the other hand, these bears know how to show their gentler side. Just look how this big animal plays with a cub, and you will realize how this big brute can be gentle and compassionate animal. 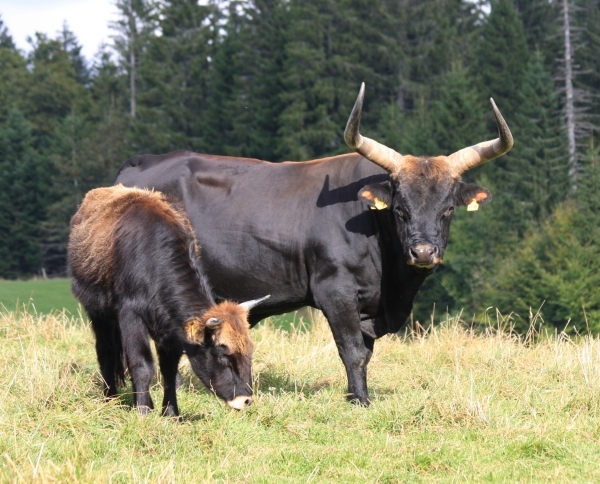 Although Aurochs represent distant relatives and predecessors of domestic livestock in Moldova, the encounter with this grandiose, yet so elegant bull is not a common thing. These animals live in herds and males often fight for the favor of females, but they also fight to show their superiority over other members of the herd. Their struggle is not naive, because males have strong and sharp horns which often can cause injuries. Given the fact that these animals frequently appear on the drawings in caves where people lived millions of years ago, this animal has a remarkable cultural importance.